I have been planning to make this jacket a long time. A really long time. Like, I saw this jacket in an online database of old Burda magazines and it caused me to go to Ebay and start buying old issues of the magazine long time. It took me a while to gather the fabric and notions, and I didn’t even decide on which buttons I would use until the last minute, but even still, this jacket has been a long time in coming. I don’t know why, but I just loved the horizontal detail at the waist. The blue color in the model photo probably didn’t hurt much either, and I knew I wanted to try and find a similar color fabric to re-create the look. I eventually spotted a lovely deep teal corduroy on the Fashion Fabrics Club website and thought it would be perfect. Ironically, though the main fabric was a cheap online sale purchase, the lining is my lovely (and somewhat expensive) silk charmeuse from my trip to Santa Fe Fabrics during my time in New Mexico for the 2013 Roller Skating Nationals. Making my jacket even more special, I decided to use buttons from Spector’s Store in Shipshewana, which I visited during the 2011 Roller Skating Nationals in Fort Wayne, Indiana. Yes, having a stash was definitely key in the making of this jacket. Of course, planning and awesome exciting project isn’t exactly the same as actually making one. I always make a muslin for jackets, but I had to do so many adjustments that this time I actually made two. And even then I still had to take in the back quite a bit to get the fit to work out the way I wanted. Then, of course, there was the sewing day from hell. This definitely wasn’t one of those fun easy projects. But, well, in the end I am fairly pleased with the results, so I guess it was worth the effort. The back took a lot of effort to fit. Pretty happy with it though. At least it no longer looks like a grocery sack. with my hands in the tiny pockets. Obligatory staring at my lining photo. Let me show you even more of my awesome lining. And my piping! One of my favorite features. A close up of the collar detail. My apologies for bad lighting. This fabric doesn’t like to photograph well. A bit hard to see – bit the sleeve vents look pretty good. Love the little buttons – they match the fabric almost perfectly. A slightly overexposed photo of the sleeve vent and button. A view of the guts, including my backstay. This is the first time I have ever made piping. Expect to see more piping in the future. 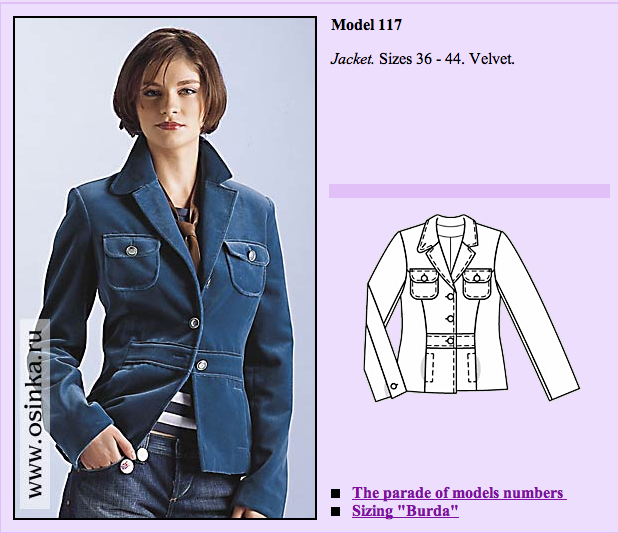 Pattern Description: Jacket with asymmetrical notched collar, in-seam and patch pockets, and sleeve vents. Pattern Sizing: Burda sizes 36-44. I used a combination of size 38 at the shoulders, 40 through the waist, and a size 42 over the hips. Were the instructions easy to follow? I didn’t think they were terrible, but I also don’t think they would be the best instructions for a new sewer. I have gotten used to Burda over the years, and I have seen much worse from them, so I actually didn’t mind them. I did, however, use additional instructions to make a backstay and to double check that I was mitering the sleeve vents correctly. What did you particularly like/dislike about this pattern? Likes: Well, I chose it because of all the details – the band across the waist, the in-seam pockets, the sleeve vents, and the interesting collar shape. I still like all of the details because they make the jacket interesting and unique. I like that the pattern instructs you to use a lot of interfacing. It doesn’t seem like many newer patterns interface the full front. Sadly, I think I probably would have been better served by ignoring this – my fabric was already rather thick and probably would have eased better without the added structure. Dislikes: I thought the fit was rather odd, especially for Burda. I traced/made another jacket at the same time, and the fit was much better with the other style. I even ended up using the other jacket to adjust the armscye and sleeves. This jacket was a bit boxier than I had anticipated, based on the model photos and all the princess seams, so I had to do a lot of adjusting to get it to look anything other than ill fitting and unflattering. Also, not a huge fan of patch pockets over the breast, so I left those off. Fabric used: The shell was cotton corduroy from Fashion Fabrics Club. It had a slight amount of stretch, and was a pain to deal with on the curves. I have about a yard leftover – probably going to end up as a very basic skirt because I don’t want to do anything too complicated with it. The lining was a lovely silk charmeuse from Santa Fe Fabrics in New Mexico. The piping was silk dupioni from Jo-Ann. The buttons were bought at Spector’s Store in Shipshewana, Indiana. I used cotton muslin for the backstay, and interfacing from Fashion Sewing Supply for the structure. Pattern alterations or design changes you made: Design changes: I left off the patch pockets over the bust because I did not want them. I also added piping to the lining because I thought it would be a fun feature. Alterations: A lot. I did alterations for square shoulders, swayback, and full upper arms. I also raised the armscye and changed the shape of it quite a bit, because it extended too far from the body on the front. I used another Burda pattern (BS-06-2012-121) to help me alter the shape for the arms because that pattern fit me much better than this one did. Even after making a 1″ swayback adjustment, I had to take in the princess seams on the back another 6/8″ because in the stiffer corduroy it just looked too boxy and baggy. I also added additional interfacing and a backstay as instructed High Fashion Sewing Secrets. Would you sew this again? Would you recommend this to others? I don’t think I will be sewing this again. It is a very distinctive jacket, and walks the line between being casual and a bit more formal. I think the style looks fine on me, but I don’t know if I love it enough to make more of them. I am happy with the way this turned out – it is quite comfortable and fills a need for a mid-weight fall jacket that my wardrobe has been sorely lacking that past few years. I would recommend this jacket to others if they like the style, but I would caution that the fit seems a bit odd compared to other Burda patterns and that a muslin is a must! Conclusion: I am happy with the way my jacket turned out. It is a bit special because of the lining fabric and buttons, which I had collected on my travels to skating nationals over the years. I am also loving the piping detail around the lining. Something I will have to use again in the future I think. This is also a pattern I had been wanting to make for quite some time, so I am happy I finally got to it. It isn’t something I think I will be making again in the future (I have a lot of other patterns I want to try), but I expect I this jacket will see a lot of use. It is surprisingly warm and rather comfortable to wear and move in. There were difficulties and frustrations along the way (and I can still see the imperfections when I look at it), but all in all I am pleased with my jacket and happy to have it off the sewing table and in my closet. Whew. This project took a lot out of me. 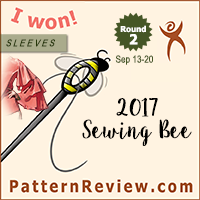 I decided sort of mid-month to push it up in my sewing plans to try and enter the Pattern Review lined jacket contest. 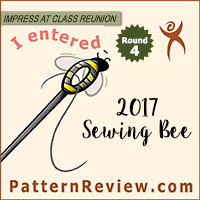 And, as with all things sewing related, it is getting finished just under the wire. So happy I am done! OOOH! The jacket is great, but the lining and piping really pop! Great jacket! I can see why you hunted down this Burda issue as it is a lovely style. Nice! Great choice of fabric for that style and the colour suits you! Great job, I really love that piping detail on the lining too, I think I would be opening my jacket at every opportunity to look at it! Beautiful job on this jacket! I can see why you had to hunt down the pattern, that front belt is a nice detail. Your lining is gorgeous! I've never done the piping thing, but it's such a nice detail that I may have to give it a try. Oh wow, it looks fantastic! All the work was worth it. The lining is fab and so is that piping. Really nice job. You did a wonderful job. The jacket looks great and fits well.